It's only 557 characters. We strongly recommend writing at least 1.000 characters. Use content that makes your app unique (features description, characteristics, how to use your app, ...). Your description needs to convince people to download your app. Also, be sure to add important and relevant keywords in your description to improve your iTunes app page and optimize your SEO. Your app's last version was released on January 10, 2018. It is important to regularly update your app. Best practices recommend to update your app every 4 to 6 weeks. This means fixing reported bugs, improving existing features, launching new features etc. Keep an eye on users' feedback. The next great features may already be asked by many users. 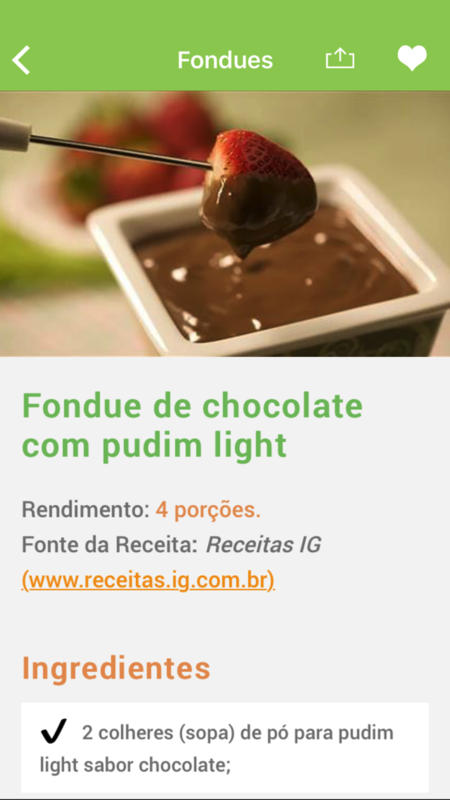 Chegou o aplicativo do Receitas Light. 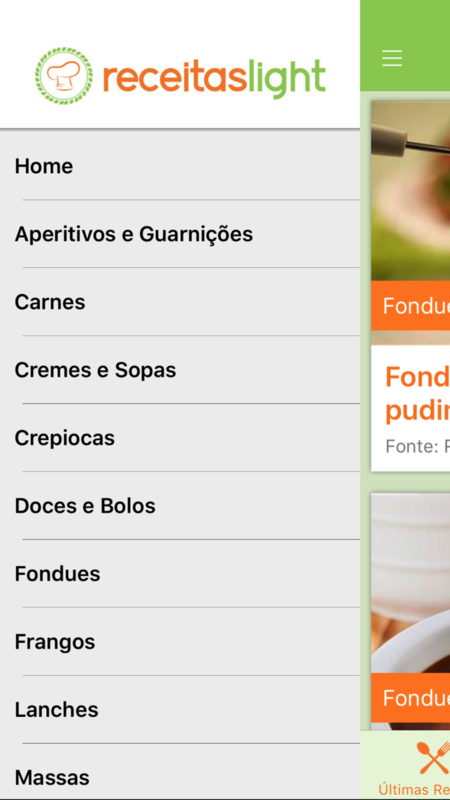 De uma forma prática e organizada você tem acesso a todas as receitas que selecionamos para você. 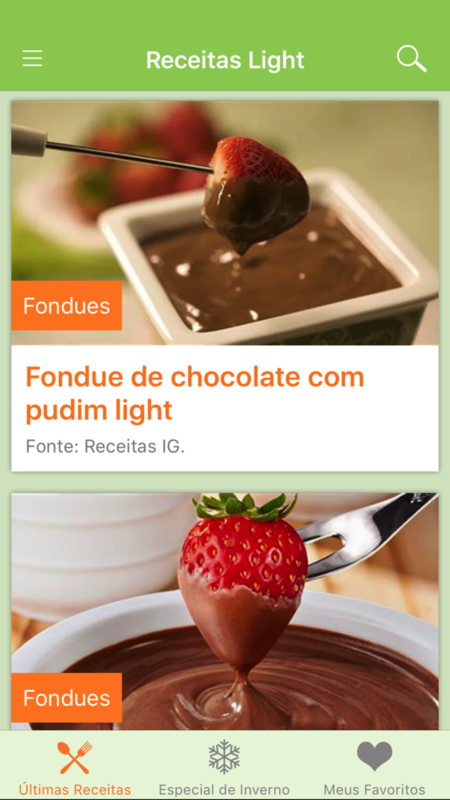 Não perca tempo e baixe gratuitamente um dos melhores aplicativos de receitas light do Brasil!! Obs: Toda semana serão adicionadas novas receitas.